This gorgeous caramel colored Rhodocrosite gemstone has to be one of my favorites. The gemstone is accented with a sterling silver swoop design and framework. 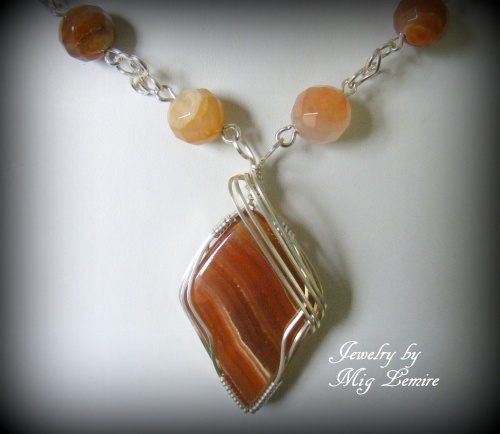 Necklace part is made of faceted Jasper gemstones. Comes with complementary earrings and measures 18" long.